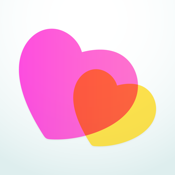 Totally free to join & use, Fizzy lets you view thousands of photo-profiles for single people also looking for a date. Unlike some competitor apps, Fizzy gives you unlimited access to send/receive messages and is completely free! All you have to do is download the app, set up your profile and you’re ready to discover people nearby who are also looking for a date. Stay in control: When you’re ready to make contact, send your message to chat. You also get to decide if and when you want to give away your exact location and contact details (we take your privacy just as seriously as you do). ⊛ Free to join – download and browse photo-profiles of singles close-to-you.